Welcome to my pages ProPhysio physiotherapist Mgr. Jana Bérešová. 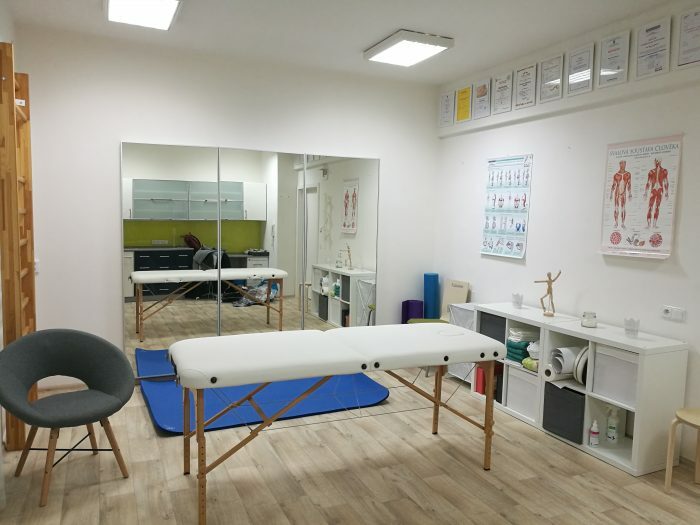 I provide comprehensive care in the field of specialized physiotherapy, with emphasis on the prevention and treatment of pain in the musculoskeletal system. 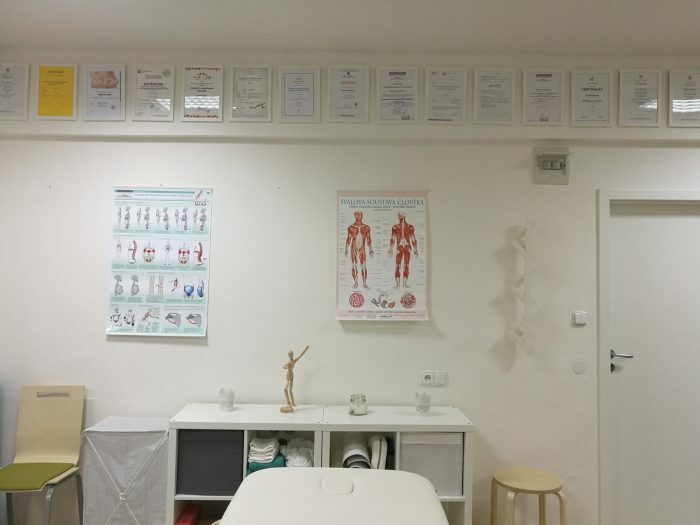 We offer a comprehensive physiotherapy, physical exercises, joint mobilization, sport physiotherapy and kinesiotaping. My name is Mgr. Jana Bérešová and physiotherapy have been working for several years. I focus mainly on the problems of the movement system, such as back pain, unstable ankles, knees, shoulders, blocked ribs, etc. or on the issue and the therapy of dizziness. I have also been involved in physiotherapy in pregnancy and postpartum. I myself actively devote myself to sport and therefore a significant part of my clients are active athletes at recreational or top level. In physiotherapy I look at the patient complexly and spend as much time as he needs. 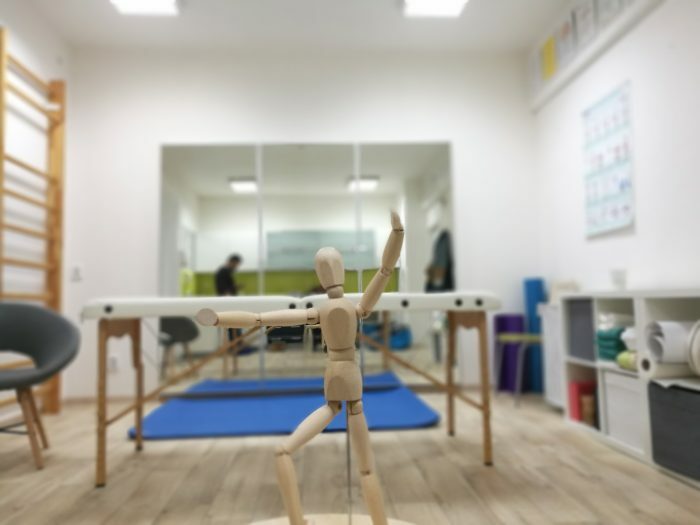 I focus mainly on the issue of the movement system, which arises either as a result of sports injury, injury or poor lifestyle (long-term sitting, inappropriate loading). What the clients say about me? Ms. Magister Berès, I looked for acute sciatica back pain and radiating pain into the whole right leg. During several therapies, when I learned a few exercises, the pain gradually disappeared and I could go back to crossfit and I am very grateful. 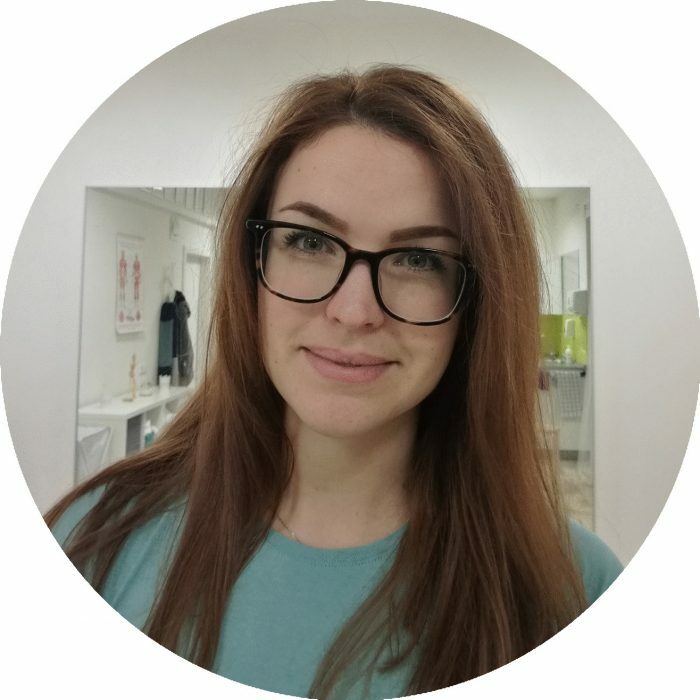 Jana is very knowledgeable and works hard to solve the patient’s problems. She relates easily with the patient. She also asks good questions and listens very well. To Miss Bérešovej I came in pregnancy back pain in the lumbar region. I did not feel any pain during a few sessions, and I learned how to practice at home. After giving birth I also returned to physiotherapy and devoted my diastasis to the abdominal muscles. I was very satisfied with the services and I recommend it to all future and fresh moms. To Miss Bérešovej I got on the recommendation of colleagues who blocked me with acute rib helped the same day as I called her. The relief came right after the therapy, for which I am very grateful. I can only recommend Miss Berešová.